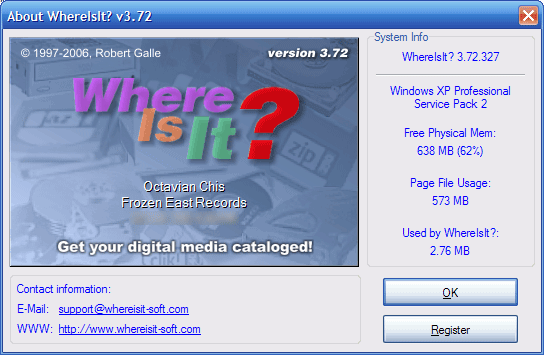 WhereIsIt v3.72 Build 327 - URGENT UPDATE! In my previous post WhereIsIt v3.72 Build 327 here is not working! The key is blacklisted, and the program recognizes it as a fake. Don't use it. Use this instead - it's fully working now.